The LSA is delighted to announce that the family of deceased (1985) LSA member Warren Cowgill (Yale University) has established a new endowment to support a student fellowship serving historically under-represented scholars wishing to attend the LSA's Linguistic Institute. The earnings from the new endowment, funded with a $50,000 donation, will enable students to participate in future Institutes tuition-free. The first award will be made at the 2021 Institute, to be held at UMass, Amherst. The Warren Cowgill Fellowship will be awarded to a student from a racial or ethnic background that has traditionally been under-represented in the field of linguistics, including African-Americans, Latinx/Hispanic, Native American, Pacific Islanders, and those of mixed heritage. 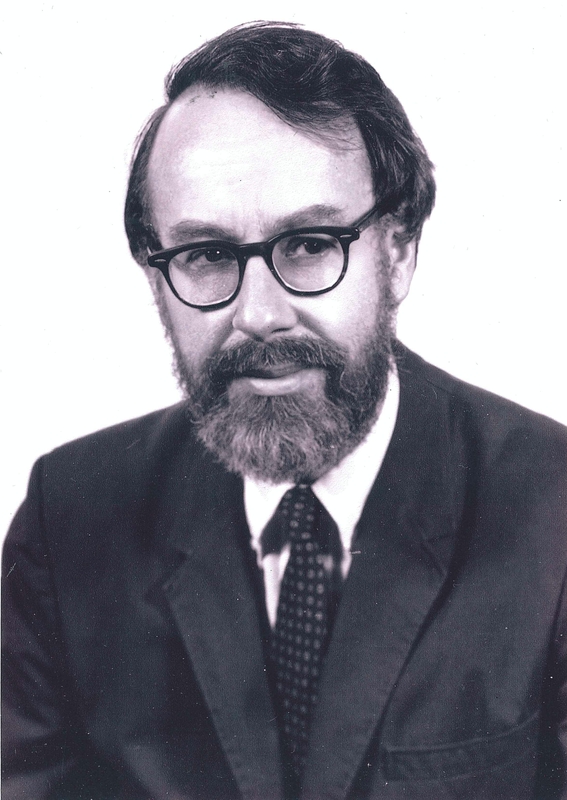 Warren Cowgill was an eminent linguist who served as the Hermann and Klara H. Collitz Professor at the 1972 LSA Linguistic Institute, held at the University of North Carolina-Chapel Hill. He was an authority on Indo-European linguistics, especially Celtic, Germanic, and Greek, and served as the consultant on Indo-European to the Encyclopædia Britannica. He was a proponent, unusually among Indo-European linguists of his time, of the hypothesis that Indo-European should be classified as a branch of Indo-Hittite, with Hittite as a sister language of the Indo-European languages, rather than a daughter language. He graduated from Stanford University in 1952 and received a Ph.D. from Yale in 1957. For more information about Cowgill's stature and place within Indo-European Studies generally, please see these excerpts from the Introduction to The Collected Writings of Warren Cowgill. Edited with an Introduction by Jared S. Klein (2006), reproduced courtesy of Beech Stave Press, Ann Arbor. In addition to these excerpts, the LSA further recommends memorial comments made by Anna Morpurgo Davies, also available in this book. The LSA invited some of Cowgill's former students to share their recollections of his influence on their careers, and the field of linguistics more broadly. For me Warren Cowgill was the perfect adviser. Anna Morpurgo Davies had already been pushing me to think more critically and logically for a couple of years, but Warren took that to a whole new level. It was immediately clear that what mattered to him were the data and their analysis, which should be as rigorous as possible. There were no personal considerations *at* *all*--certainly no involvement of ego. Warren was always ready to change his mind and was fully comfortable with saying he had previously been mistaken. Of course that made it easier for a student to take criticism from him; he treated everyone as an intellectual equal, was as hard on himself as on anyone, and was always ready to accept and praise a good idea. He seemed especially delighted when a student came up with a good idea. I have tried to live up to his example. Warren Cowgill was an exceptional teacher who gave his students everything they needed to go on to become productive members of the academic community. When I was studying with him, I had the sense that I was learning from a true master and that there was no way that one could "go over his head" to study with anybody more learned. His teaching is to this day emblazoned on my memory, even to the point of my remembering individual sentences and phrases that he produced in class, and it has served as the foundation for everything I know, even though my research focus on discourse structure and nexus in Indo-European is far removed from his primary interests. In short, he taught me how to be a scholar, how to assess an argument, and what questions to ask. Even more importantly, he taught me that there is absolutely nothing more important than to know the languages one is investigating from the inside out. I have endeavored to apply the simple guidelines he gave me to every scholarly enterprise I have undertaken. In short, absent Warren Cowgill's contribution to my scholarly training, I am another person, infinitely diminished in stature and accomplishment, and far less useful to the Linguistic enterprise internationally and at my own university. Warren Cowgill was known for his interesting way of speaking—every phonological word being its own prosodic phrase. And yet, during my entire time at Yale, he was the one who packed more information into one single class session than any of his colleagues. Not only was the information more plentiful, it was also amazingly detailed on all aspects of phonology and morpology of whatever language or language family that he taught. The notes that I took in his Comparative Greek and Latin, really an introduction to Indo-European linguistics in general, are a resource that I still consult occasionally. My greatest regret, shared by many of my fellow students, is that he never published a full accounting of his deep knowledge of Indo-European comparative phonology and morphology. Warren could also be quite generous. When I attributed to him an analogical ablaut account of the accusative plural of Sanskrit r- and n-stems, which I had found in the margin of my notes from his Comparative Greek and Latin course, he graciously informed me that this idea was not his but must have been mine. The account wound up as my first refereed, published paper, which appeared in the Journal of the American Oriental Society. When my dissertation was finally complete and, by the rules of Yale University, had to be bound, I had totally run out of money (copying was extremely expensive at that time, and for various reasons my dissertation had reached more than 700 pages in length). Warren again showed his generosity by paying for the binding, thus relieving me from going into hock. I learned so very much from Warren, who in the view of us students knew everything. But what I remember best about him are lighter moments, like the time we all gathered, as was the daily routine in Yale's linguistics department in the 1960s, in the department's main office for tea after a class of Warren's. We had just gotten an exam or a paper back from him, and I was unhappy about the mistakes I'd made, and was complaining loudly about what an idiot I was. Warren suddenly said OH followed by a series of near-whispered damns -- "damn! damn! damn! damn!" I stopped complaining and said, "Warren, what on earth are you doing?" "I'm praising you with faint damns", he said.